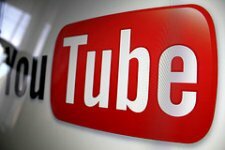 This week Google made a small update to its video service YouTube, which resulted in the removal of public tags from video pages. Tags are used to aid in the discoverability of your videos. In the past, there have been attempts to outrank or profit off of popular videos. According to the company, tags were removed in an effort to stop some members from “abusing tags by copying them from other videos” onto their own. Although it’s hard to imagine how copying tags could boost views enough result in their removal, members will now have to rely on organic placement of their videos — which is only fair. It’s important to note that tags haven’t been removed completely; instead they’ve been made private — meaning that only you can see them. Despite this, viewers can still search for videos by keyword, which is why you should continue adding tags to the videos you upload to your Channel.